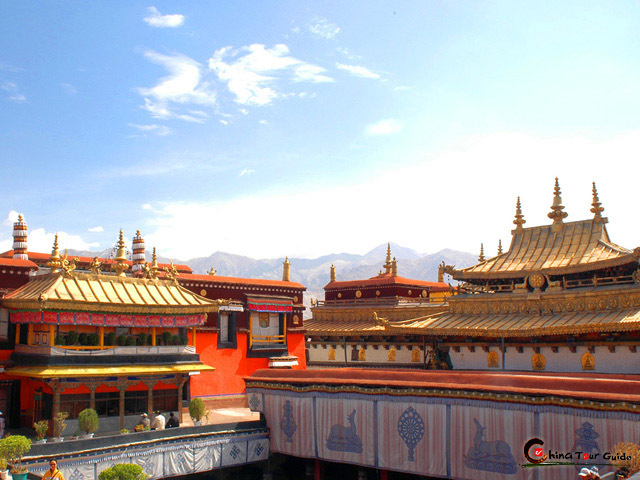 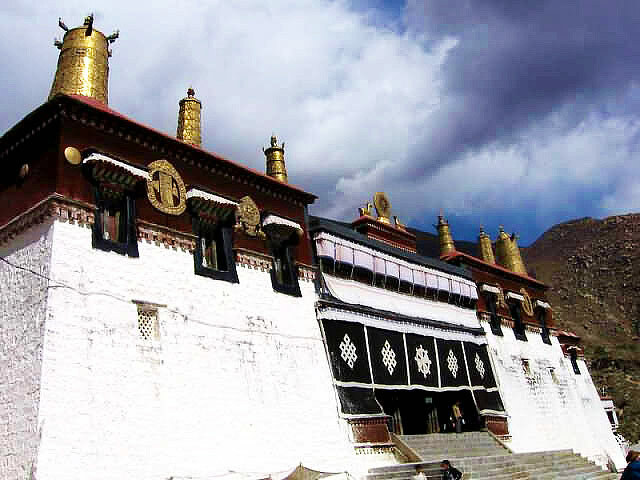 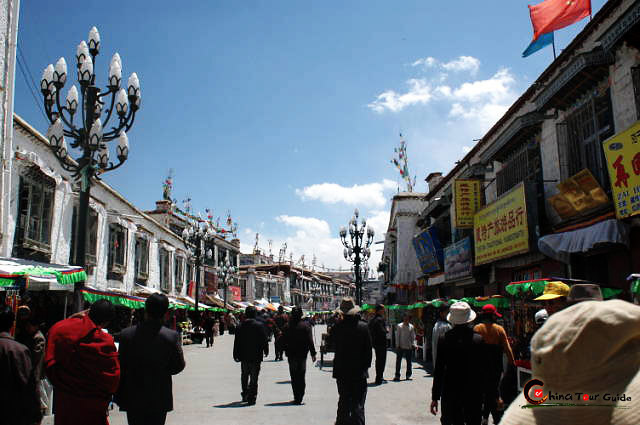 The Jokhang Temple, situated in the centre of old Lhasa, was originally built in 647 AD. 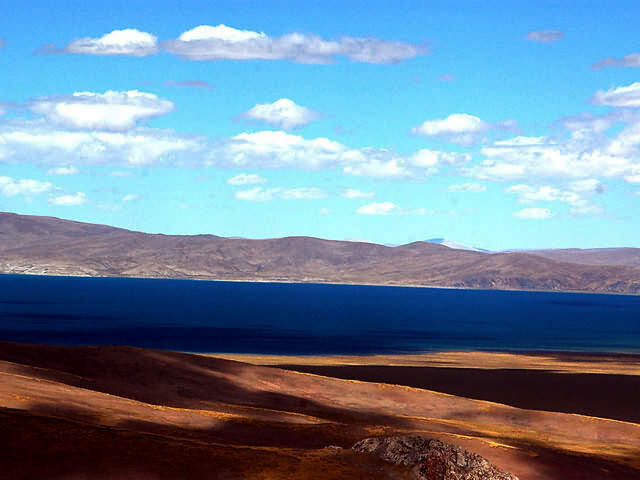 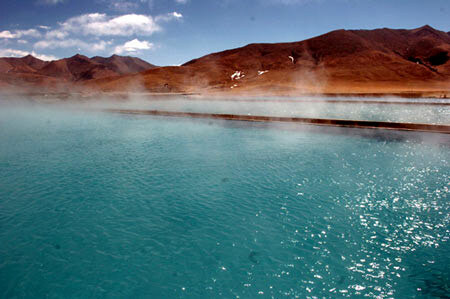 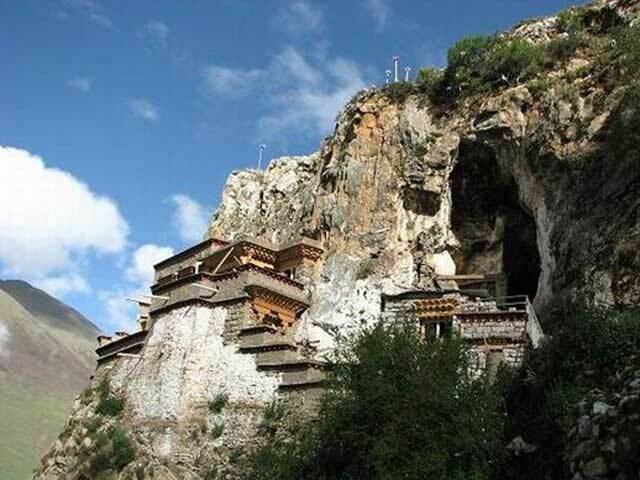 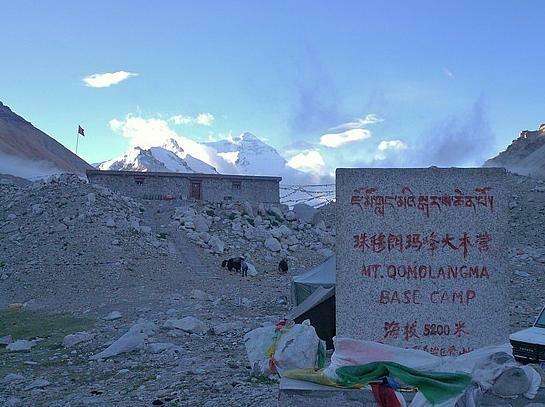 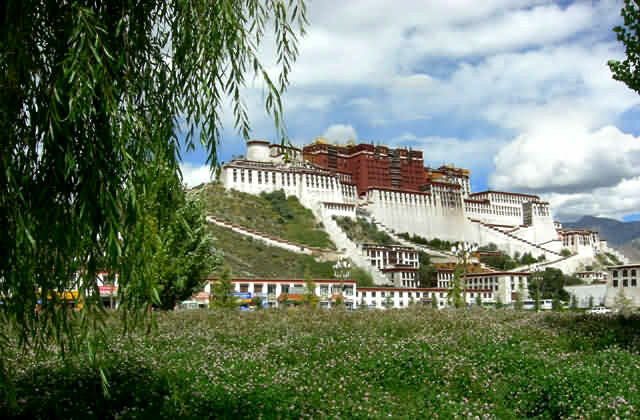 The site is said to have been chosen personally by the wife of King Songtsan Gampo, the Tang Princess Wencheng. 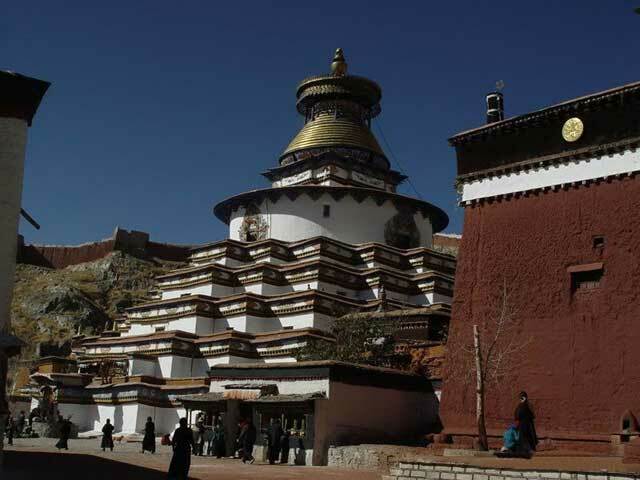 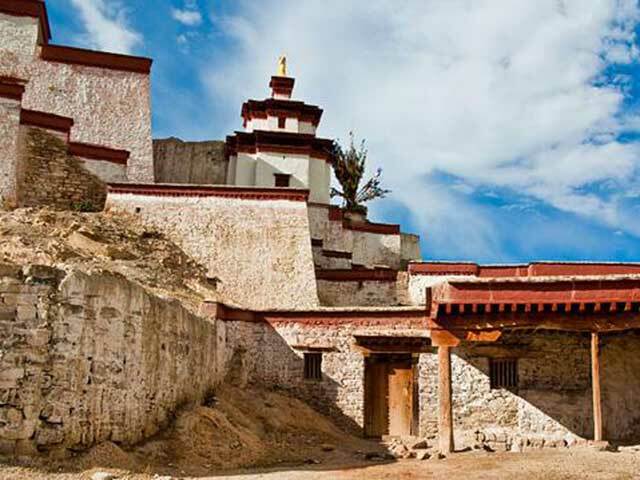 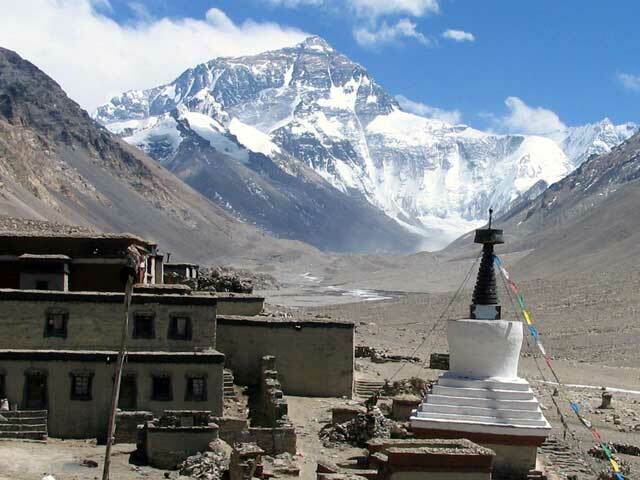 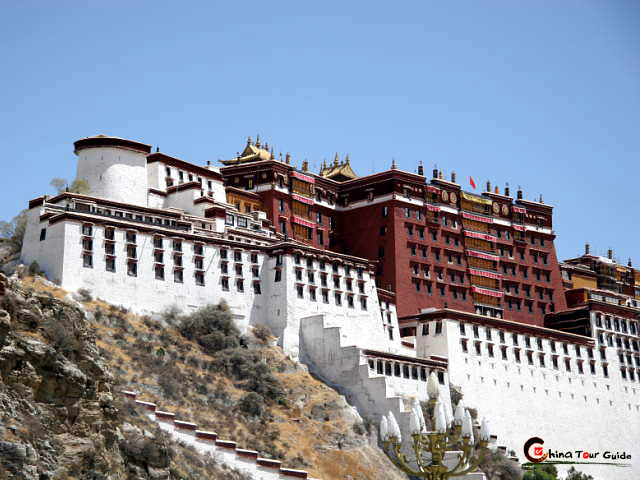 It was built by craftsmen from Tibet, China and Nepal and thus features an intriguing mix of architectural styles. 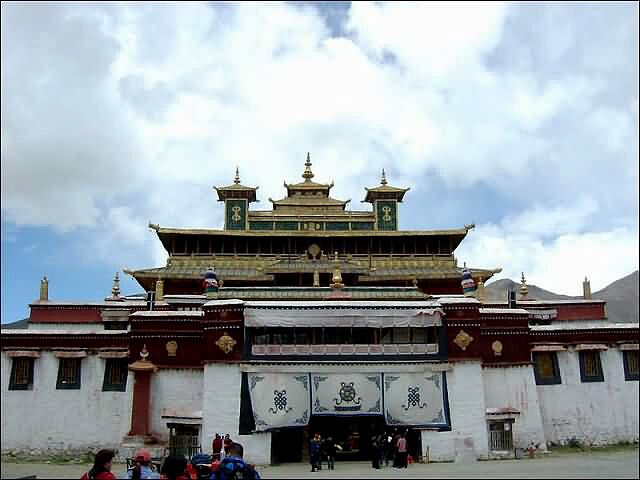 Jokhang Temple is the spiritual center of Tibet and the holiest destination for all Tibetan Buddhist pilgrims. 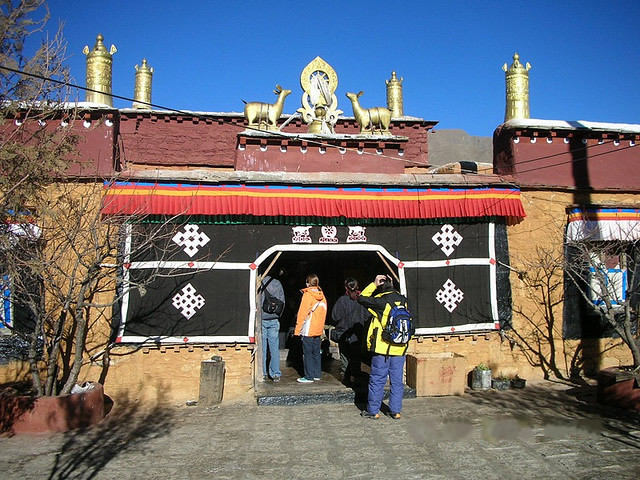 Princess Wencheng made use of Chinese astrology to decide that the temple should be built over the pool where the temple is now located. 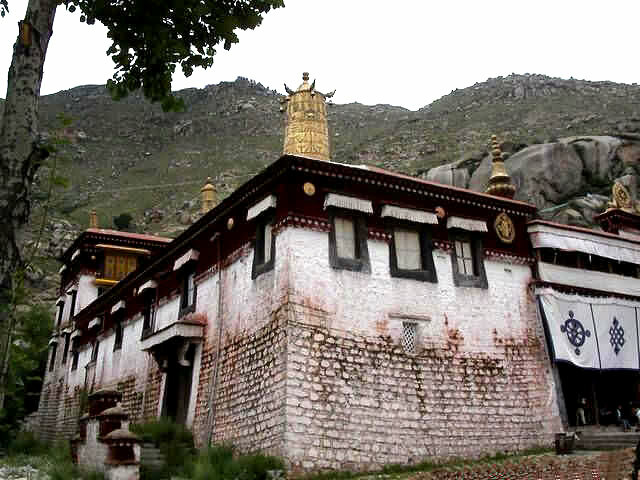 She believed that the pool was a witch's heart and that building the temple over it would purify the area of evil. 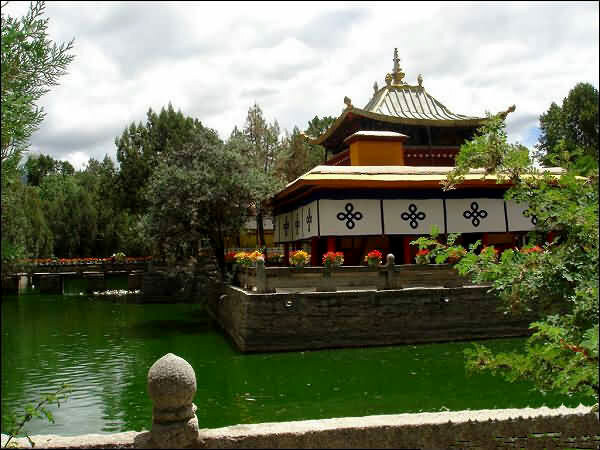 This pool still exists under the temple. 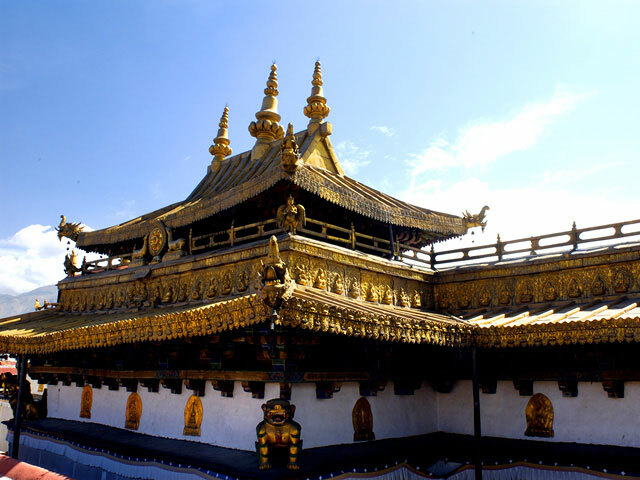 The temple's central hall holds is most precious object, a sitting statue of Sakyamuni while he was still only a 12 year-old youth. 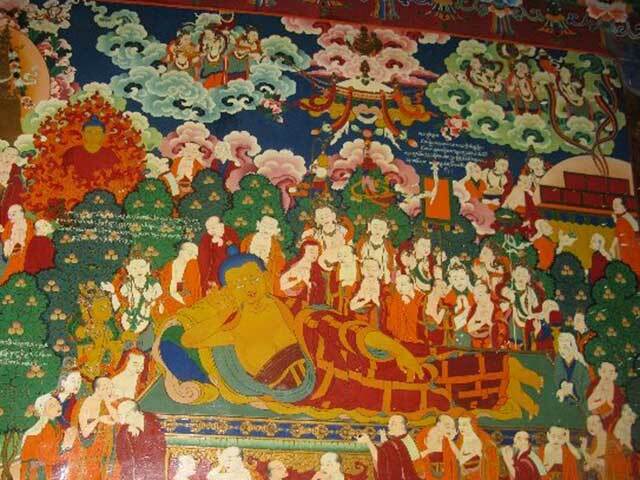 This was carried to Tibet by Princess Wencheng from her home in Chang'an in 700 A.D. 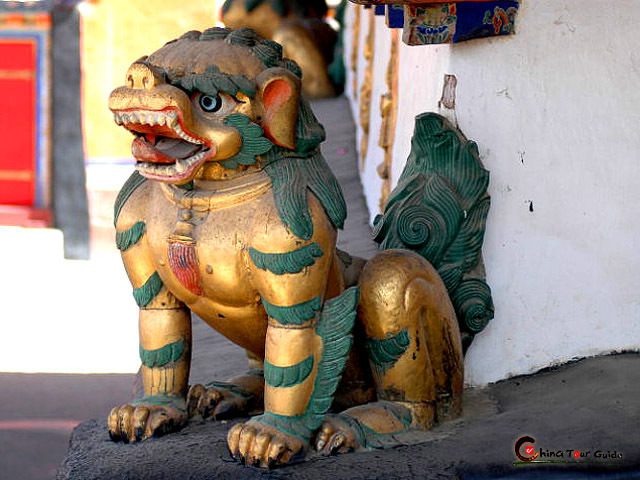 It is a gilded statue adorned with many jewels, in an elaborate setting. 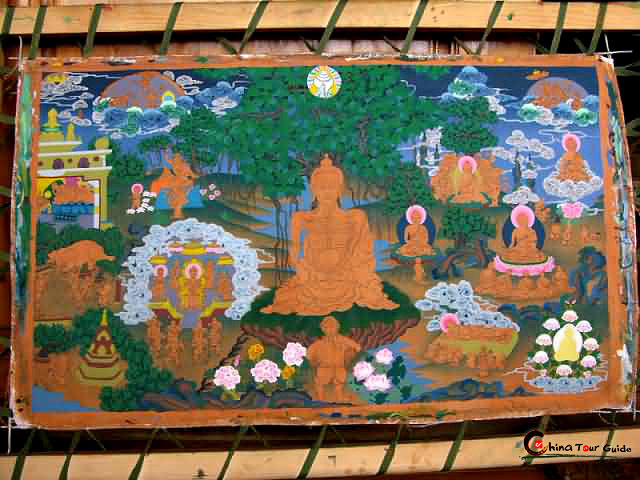 The idol is very important to Buddhists who have knelt in worship before it for centuries. 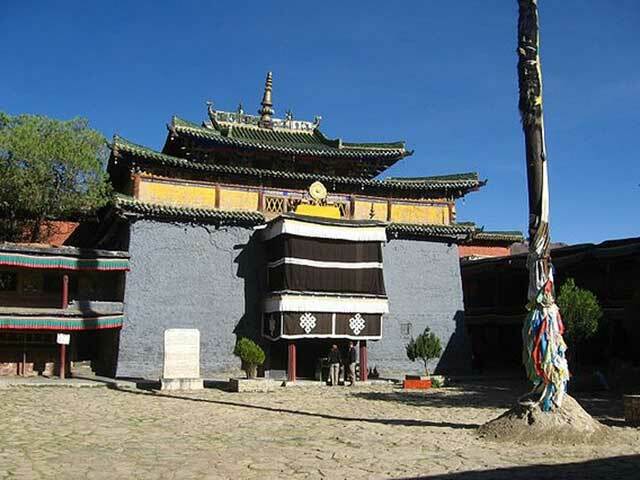 Outside the temple an old and withered willow tree has survived centuries and is said to be planted by Princess Wencheng herself. 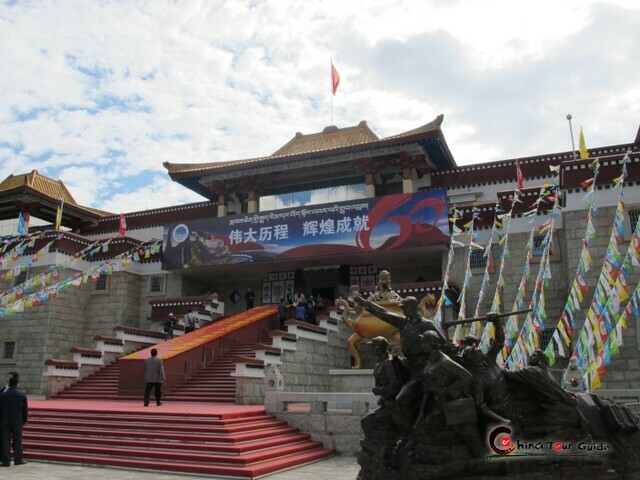 Also there is a 3 meter (10 ft.) high pillar, a treaty stone recording the alliance between the King of Tibet and the Emperor of China in 823 A.D.
A bronze lion in the Jakhang Temple. 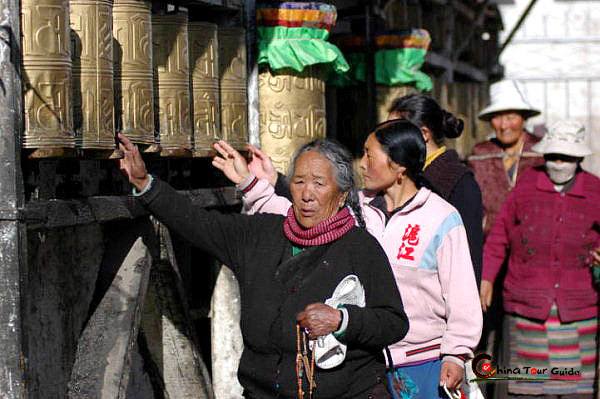 Pilgrims touch the Pray Wheels to for blessings and peace. 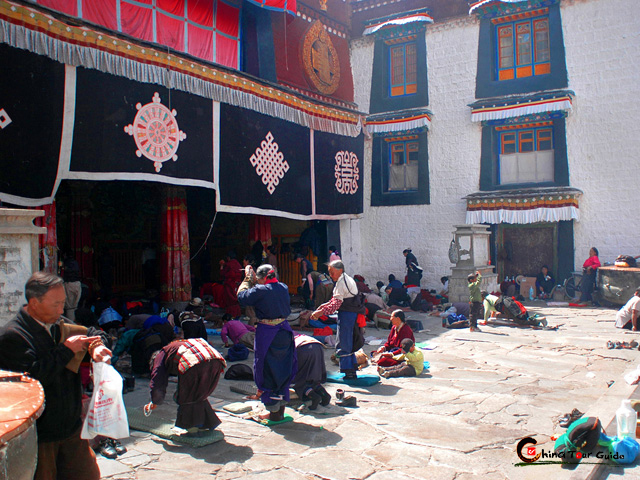 Every year, Buddhist's Great Prayer Festival is held in the Temple. 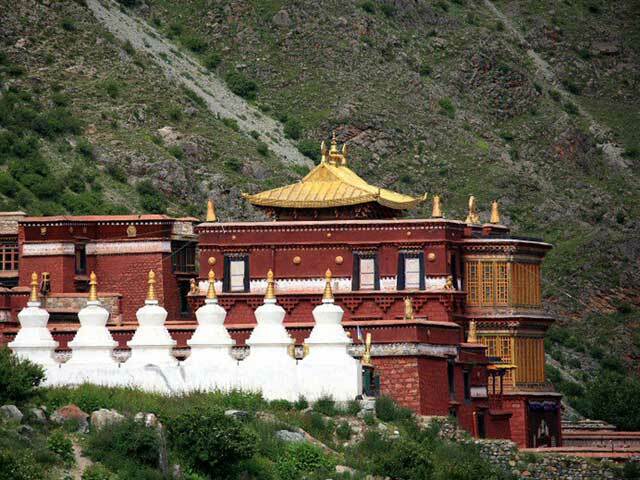 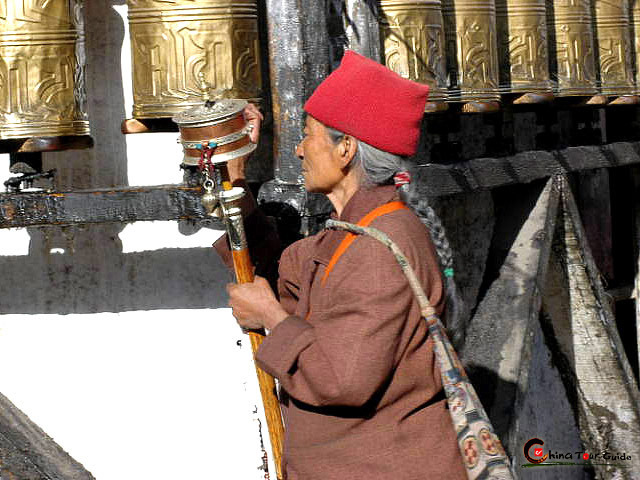 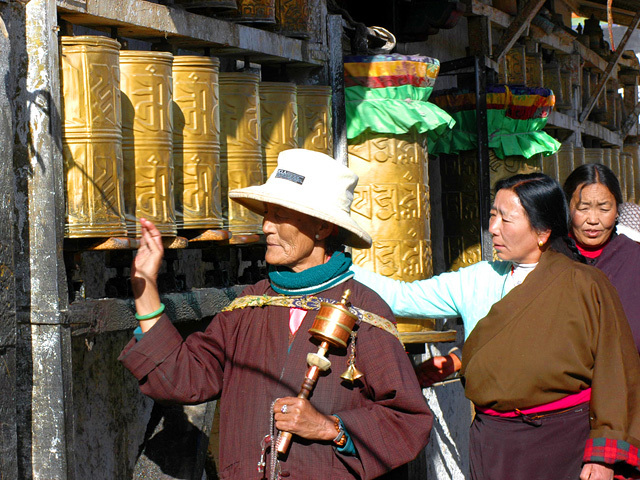 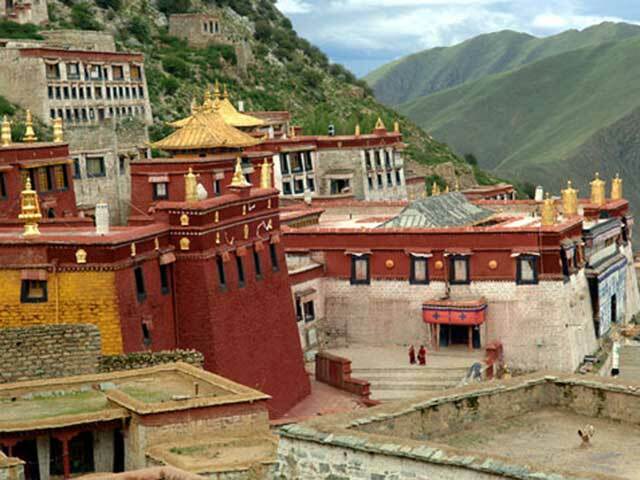 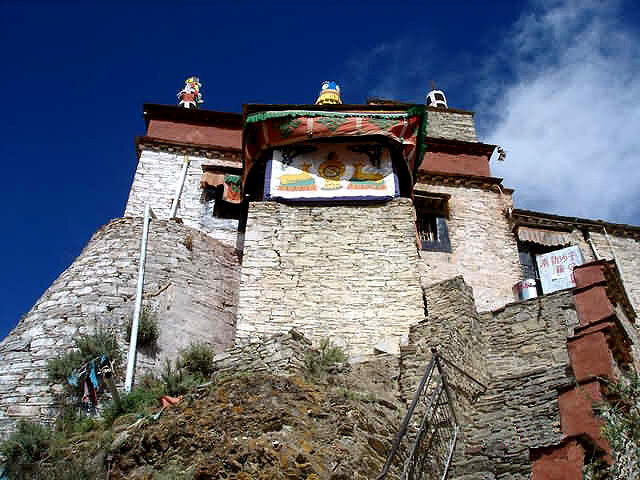 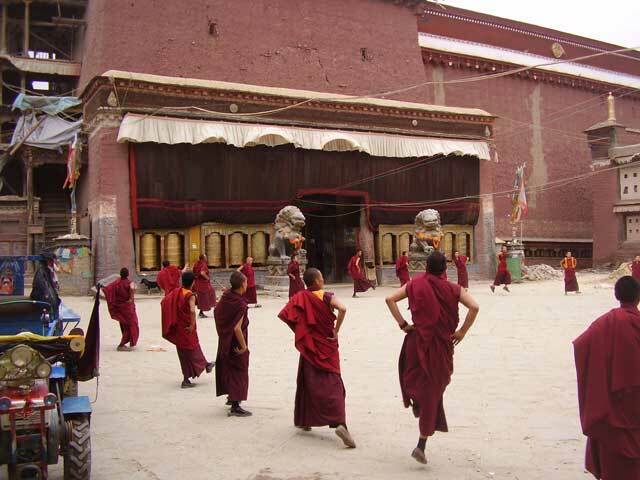 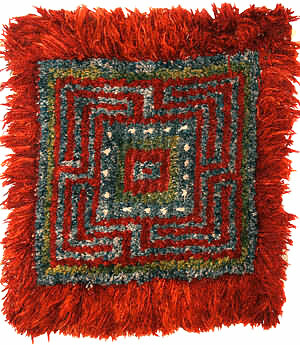 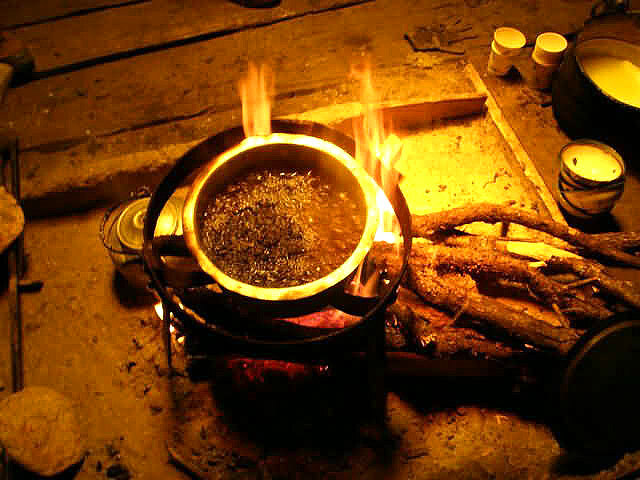 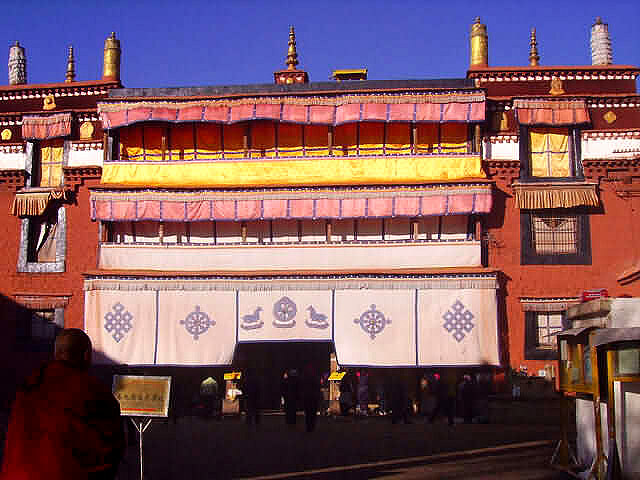 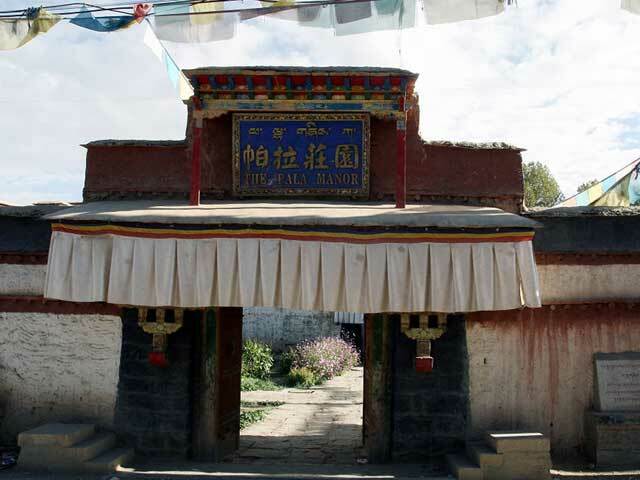 The rites of Dalai Lamas and Panchen Lamas' initiation into lamahood are also held in the monastery.